Austrian cantor; born at Prague Sept. 12, 1835; died in that city Aug. 5, 1901. Belonging to a family of ḥazzanim, he early entered the profession, and became cantor of the Meisel synagogue at Prague while quite a young man. He received his musical education at the Conservatory of Music at Prague. 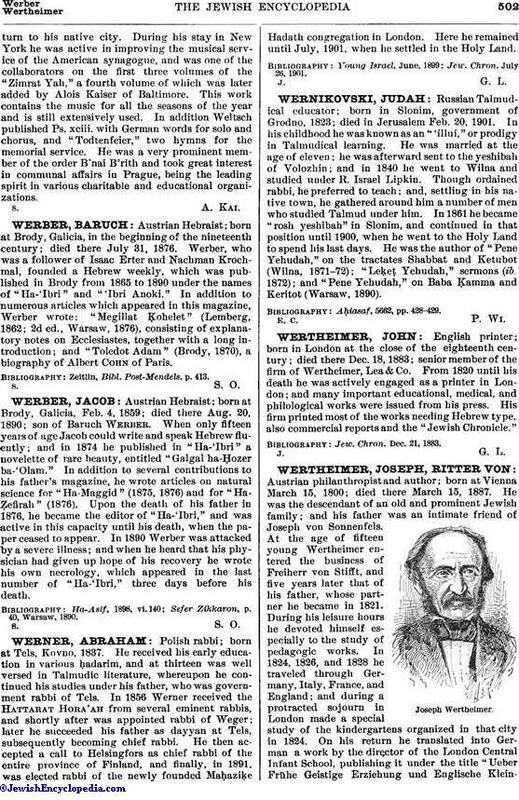 In 1865 he received a call from the Ahawath Chesed congregation in New York, and remained its cantor until 1880, when he resigned the position in order to returnto his native city. During his stay in New York he was active in improving the musical service of the American synagogue, and was one of the collaborators on the first three volumes of the "Zimrat Yah," a fourth volume of which was later added by Alois Kaiser of Baltimore. This work contains the music for all the seasons of the year and is still extensively used. 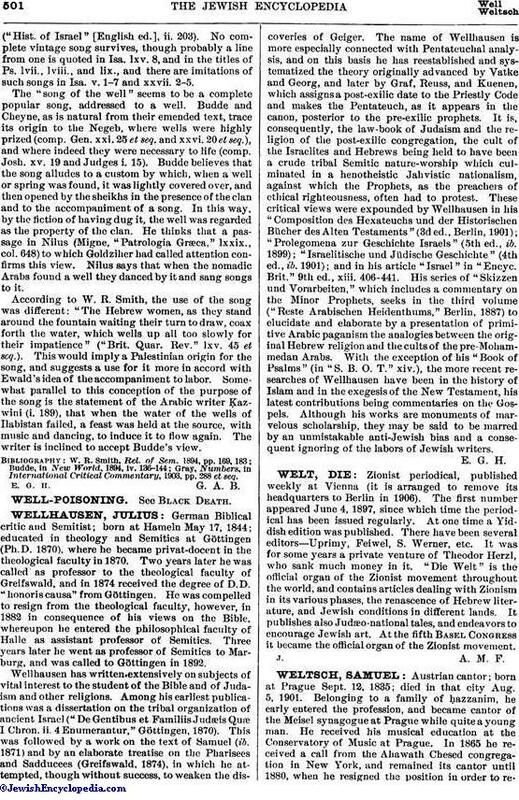 In addition Weltsch published Ps. xciii. with German words for solo and chorus, and "Todtenfeier," two hymns for the memorial service. He was a very prominent member of the order B'nai B'rith and took great interest in communal affairs in Prague, being the leading spirit in various charitable and educational organizations.